If you didn’t get to Hudson for the first one, now’s your chance! 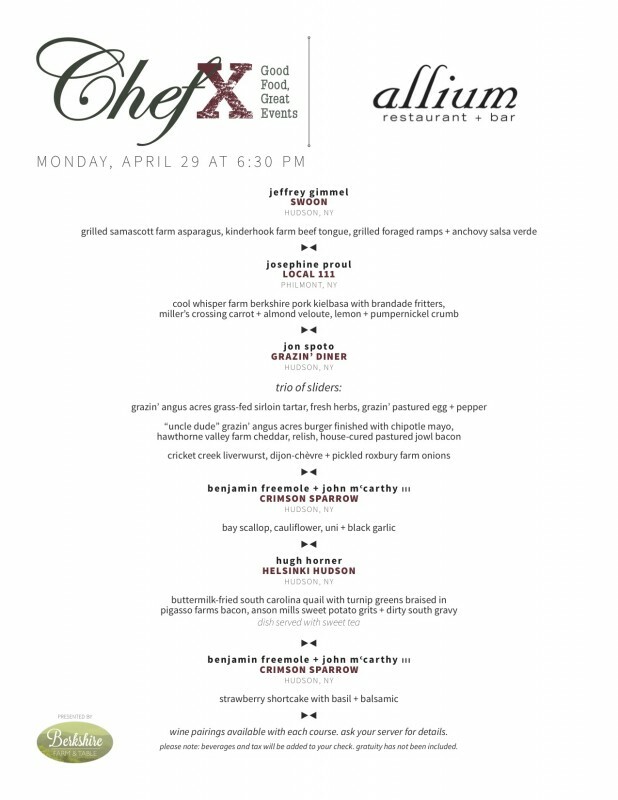 Five chefs from the Hudson Valley will be throwing down some great food on Monday, April 29th at Allium in Great Barrington, MA. Details available on our official ChefX page. Tickets must be purchased on Eventbrite by April 25th. Dinner menu for the chef swap pop-up is included below. Hope you can join us! ← ChefX Hudson is Sold Out!